For this animal series drawing, I was inspired by the work of a newly discovered artist for me: the late Ozz Franca. I love the way his portrait series of native people blend into the background. 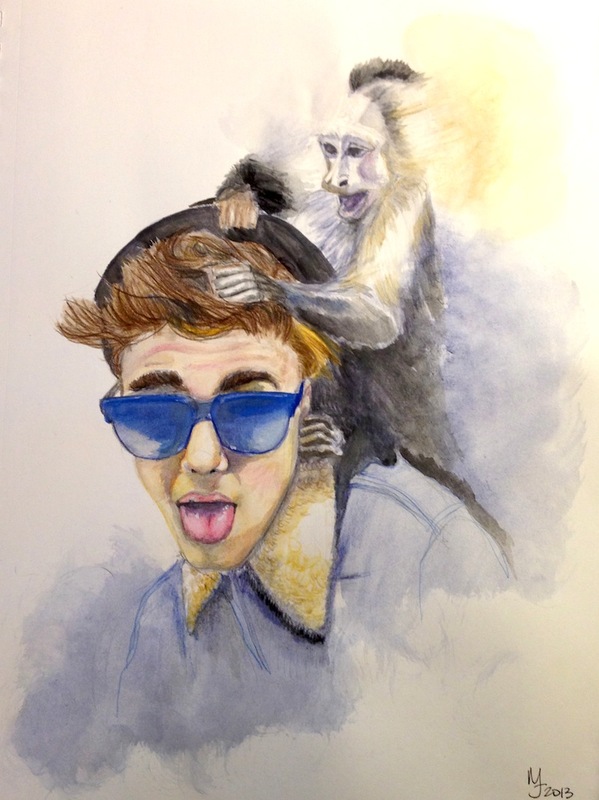 I used a similar technique for this portrait of Justin Bieber and his former capuchin monkey named Mally, using watercolor and watercolor pencils.